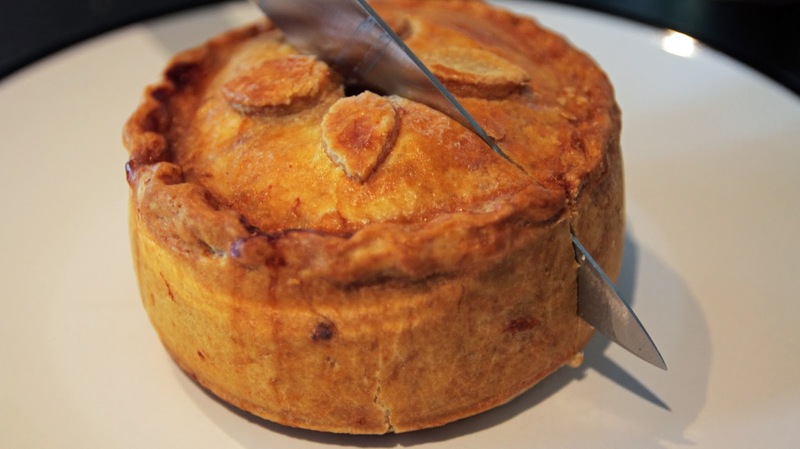 British Pie Week celebrates the great British pie, and there's nothing more British than the classic pork pie. 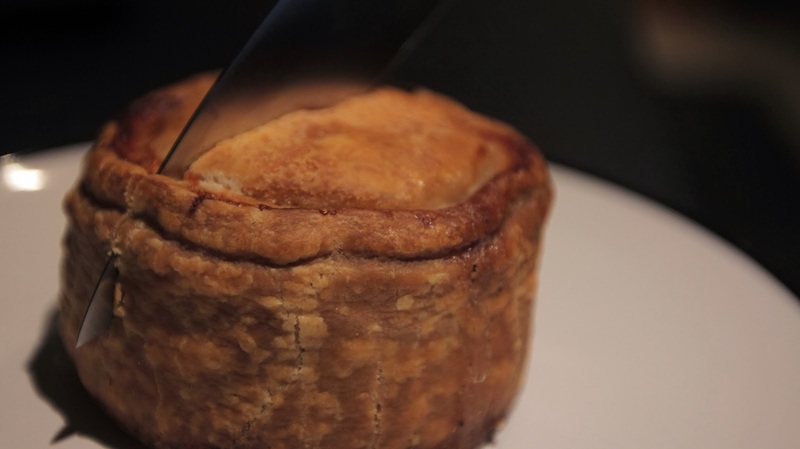 So there's surely no better way to welcome in British Pie Week than a day of eating nothing but pork pies? "So what are you going to order for your final meal?" joked Pierateer RAS, as I stared blankly down at the takeaway menu. I tried to laugh, but it was a weak laugh. The rain lashed down outside the window of the Chinese takeaway. Torrents of water streamed down the glass, backlit against the streetlights. A few minutes later and, my final meal in hand, I opened the door of the Chinese takeaway and stepped out into the night. I knew I had to enjoy this chicken fried rice tonight, because tomorrow it was all going to be pork pies for every meal. The following morning, and I began the day with a Sainsbury's Melton Mowbray medium-sized pork pie. I took the rather unconventional option of eating this on the commuter train back in to London. Without cutlery or any way of cutting the pie, I just had to bite into it. This method seemed to work well, but did raise quite a few odd looks from fellow train passengers. Next up, my treat for lunch was this wild boar pork pie from the wonderful people at Nice Pie. Wild boar! This surely has to be best pork pie ever, right?! The wild boar went down a treat, and it gave a nice twist on the traditional pork pie (which, when eaten in excess, can be quite overwhelming in its richness). I found myself cruising in the challenge at this stage; the wild boar was so delicious that I was wondering whether this whole pork pie thing was even a challenge at all. However, even the wild boar, which in its first few slices provided a welcome relief to traditional pork pie, soon became quite overwhelming in its richness. These pies are quite large and rich, so there was certainly no way I was going to be able to eat the whole thing in one go. Instead, I ate a third of it, had a break and then snacked on some smaller slices. 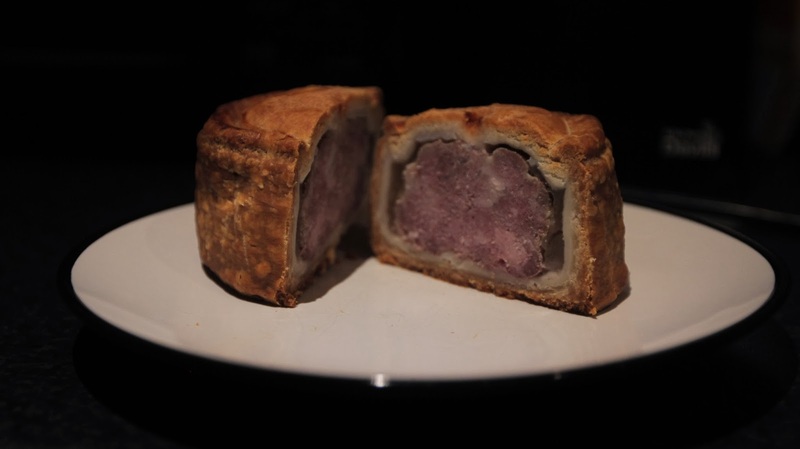 Next on the pork pie menu was a Mrs Kings Melton Mowbray pork pie, which I ate for my mid-afternoon snack. Mrs Kings have won multiple awards for their pies, including Best Melton Mowbray Pork Pies at the British Pie Awards (2011-2012) and Best Hand Raised Melton Mowbray Pork Pie (2013-2014) so I knew I was eating a quality pie. The quality of the pie certainly made it easier to eat at this stage in the challenge. By this point, I had learned that rather than trying to substitute a pork pie as a whole "meal", it was much better to eat small amounts of pork pie at a time. But while the quality of the pies I had eaten was high, there's no denying that you can have too much of a good thing. By the late afternoon I was feeling quite sick, and felt the need for a large meal. But I knew the large meal was only going to be more pork pie. That evening I headed down to the Princess Victoria Pork Pie Off, which was really the main driver for me attempting this pork pie challenge. You can read more about the pork pie off here, but let's just say that after trying 10 different pork pies I was feeling really quite ill and gained the pork pie sweats! But a couple of glasses of water later and a chat with a few other pie fans, and I was feeling a bit back to normal and headed home for a herbal tea. The pie reviews will come later, but I was very impressed with nearly all the pork pies that I ate on the day, particularly Mrs Kings and the wild boar pie. I thought just eating pork pie would be a relentlessly monotonous experience, but instead I found there was great variety within pork pies - as if they're almost a food group of their own. The pork pie challenge is not something that I'll be attempting again. It perhaps wasn't the day of doom that I was expecting it to be, but the pork pie sweats are not pleasant and my stomach took a couple of days to settle fully. But I was certainly spurred on by the quality of the pork pies, and I feel indebted to the tastiness of the pies for helping me complete the challenge. Long live the pork pie! I have a new fondness for these delightfully British icons. 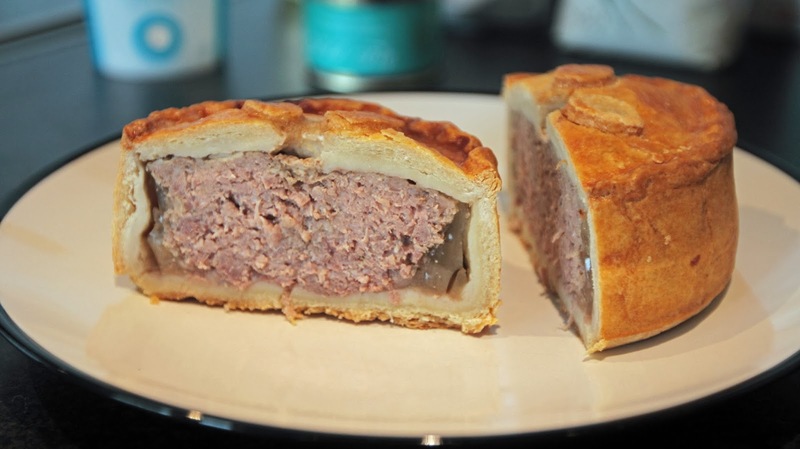 The pork pie challenge was my Pie Pledge to celebrate Day One of British Pie Week 2014.